The event was organized to showcase NATO’s enhanced Air Policing standard activity. The Romanian Air Force and the Royal Canadian Air Force executed an event showcasing NATO’s enhanced Air Policing with a simulated intercept in the air and a ceremony at Mihail Kogalniceanu (MK) Air Base. 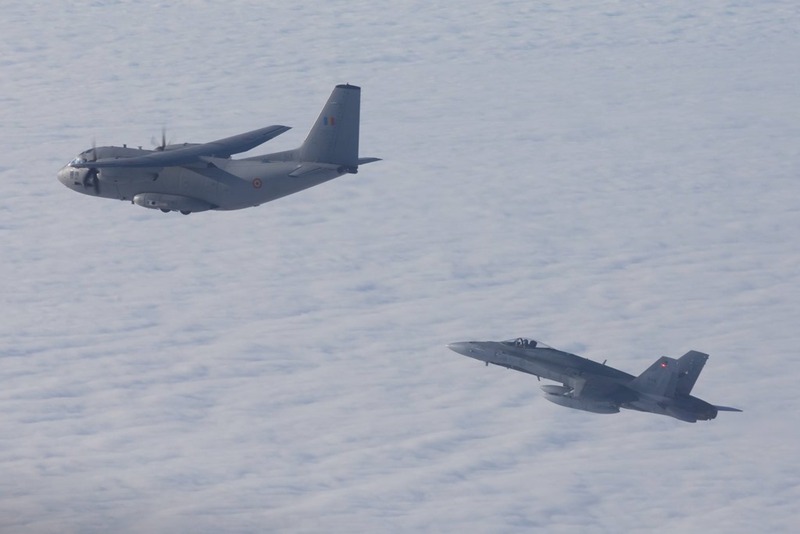 In the morning of December 14, two Romanian C-27 transport aircraft took off at Otopeni Military Airport and so did two Canadian CF-188 fighter jets from MK Air Base. Half an hour later the Canadian fighters conducted a simulated intercept of one C-27, while several Romanian media were able to witness the manoeuvre from inside the other C-27. This drill is a standard procedure for Allied air forces and may typically occur during NATO Air Policing, a 24/7 peacetime mission executed to safeguard the airspace of all Allies. 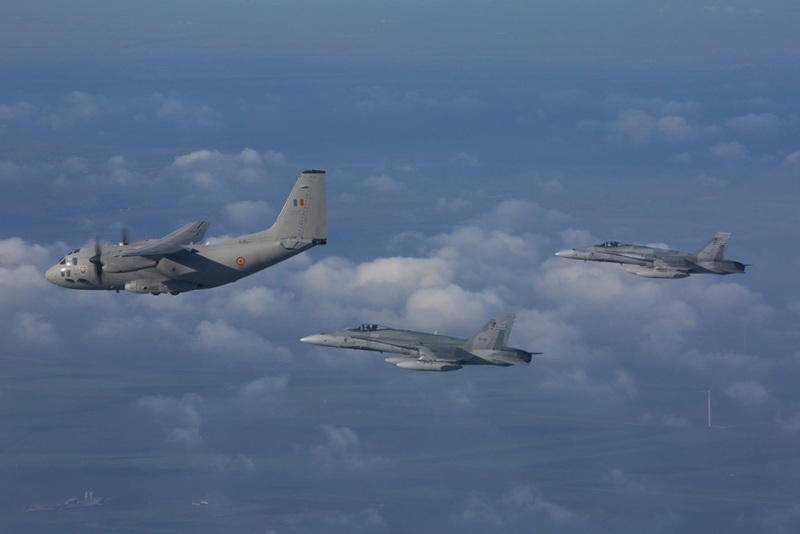 The specialty with this event was the Canadian jets which are deployed temporarily at MK Air Base under NATO’s enhanced Air Policing from September to the end of the year assuring Allies of NATO cohesion, readiness and resolve. In 2014, NATO started to conduct enhanced Air Policing (eAP) in their eastern Allies as part of Assurance Measures. These measures were introduced in response to Russia’s illegal actions in Ukraine with the goal to demonstrate the Allies’ collective resolve, demonstrate the defensive nature of NATO and deter Russia from aggression or the threat of aggression against NATO Allies.